Classic Jet Center took over the FBO at Lost Nation Airport in September of 2009. Since that time we have been making it our priority to provide a quality atmosphere and raise the bar when it comes to customer service. Our customer and passenger lobby area has been remodeled and we have created an inviting and comfortable pilot’s lounge complete with plush chairs, a flat screen television and free WiFi. We have also improved our hangar facility and what FBO would be complete without a courtesy car available to pilots and passengers? The Jet Center is located at the southwest corner of the airport. It is our mission to see to it that all of our customers have a positive experience during their stay with us. 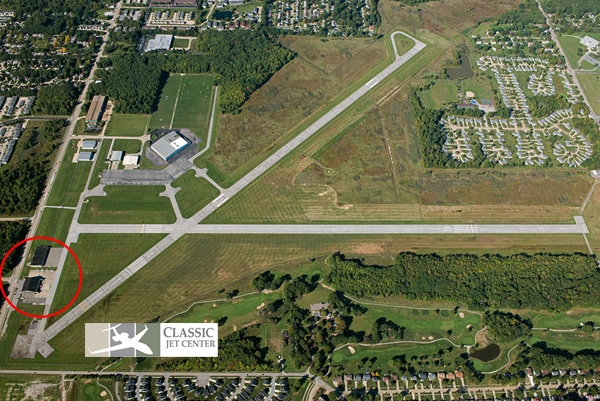 If you have not visited Classic Jet Center please make it a point to fly in and see us! If you have been here in the past then come on back, we know you will be glad you did! Erin Hoefle - Erin is our Customer Service Manager. If you visit us Monday through Friday from 8:00am to 5:00pm, you will have the pleasure to meet her. She greets anyone who comes to visit us, answers the phone, sets up charter trips, books hotel and rental car reservations, sets up catering, handles billing and does just about anything else a customer needs. Rebecca Garfield and Carolina Kane are our customer service associates who work part time in the evenings and on weekends. They are available to help out with reservations, fuel orders and answer any questions you may have regarding the Jet Center. 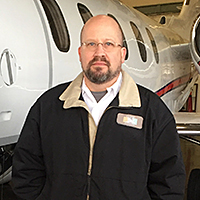 Steven Dowling is new to the Classic Jet Center family and is our Director of Maintenance. A transplant from Pennsylvania, he brings with him over 25 years of expertise in the aviation field, most recently with Bombardier Aerospace. 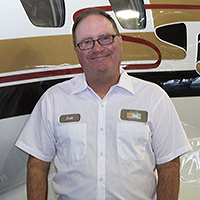 With extensive knowledge in jet heavy checks and modifications, he’s excited to bring Classic Jet Center to the fore-front, and invites you to give them a call for your next maintenance check! Steven’s a self-described car-nut and plane-enthusiast, and in his spare time enjoys tinkering in the garage on his latest project. He’s been happily married for over twenty-four years, and currently has a son and daughter attending West Virginia University. Ritch Kovacic is in charge of Quality Assurance/Quality Control. 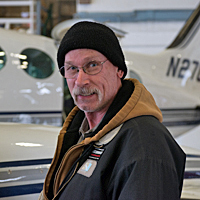 Ritch has been in aviation maintenance for over 20 years, maintaining everything from commercial airline aircraft to small general aviation aircraft. He holds an AP/IA license, is Rotax certified and is ready to tackle any job. When not at the Jet Center, Ritch enjoys falconry, white water kayaking and other outdoor activities. Joe Matz - Joe has been an airplane nut his entire life, with his true passion being vintage and Warbird aircraft. 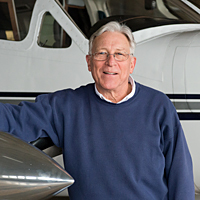 Whether working on an Aeronca or a CitationJet, Joe treats every airplane as his own and strives to please customers. On his time off, he can be found fishing, shooting or in the restoration shop of Vintage Wings, Inc in Franklin, PA working on the restoration of a Douglas C-53 Skytrooper. Scott Toman aka “Scotty”, is our Line Service Manager. Scott was born into aviation! His father was a pilot and Scott grew up around airplanes. He is a pilot as well and owns a beautiful Stinson 108 Voyager. His love for aviation shows in his work. Not only will he be there to greet you on arrival, he is an expert in all facets of line service and you can rest assured you and your aircraft are in excellent hands. Ken Gross – Ken is our part time can do guy. Ken can tell you just about anything you want to know about aircraft. Aviation is his passion and it shows in his upbeat attitude. When fueling or moving aircraft he treats the planes as if they are his own. When not at work you can find Ken admiring the muscle cars at the racetrack! Mike McCoy – Mike works line service full-time. 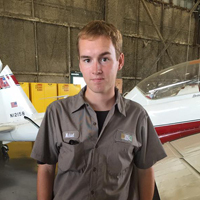 He loves working around airplanes and is currently working on getting his Private Pilot Certificate. If you come in during Mike’s shift, know that he will take good care of you and make your stay with us a good one. Matt Horvath - Matt works line service full-time. He is a student at Kent State University and is currently working on his Commercial Pilot Certificate. 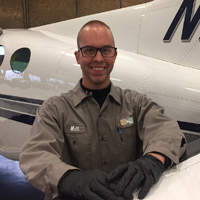 We’re happy to have Matt as a part of our line service team and as a pilot himself, he will ensure that you and your aircraft are taken care of while you are with us. 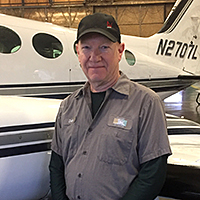 In February 2017, Dale Diemer started his “retirement job” at Classic Jet Center. 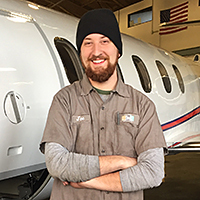 His first passion and job after High School was working here at KLNN for General Aviation, during which time he earned his Private Pilot license flying an Aero Commander 112. His father Irv had always owned an airplane so flying was a regular family activity. Getting married and joining the family’s manufacturing company diverted his path away from aviation. After 36 years in the manufacturing industry, he retired to become involved once again in aviation, working full time for the Classic Jet Center. Dale loves being around airplanes and airplane people, and really enjoys the outdoors and meeting new people every day. 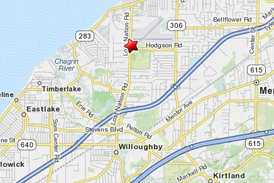 Just 15 minutes to downtown Cleveland! Super friendly service, car was waiting for us when we landed, fuel is very reasonable and a beautiful area. Definitely worth the stop. – Guilherme Schmidt.